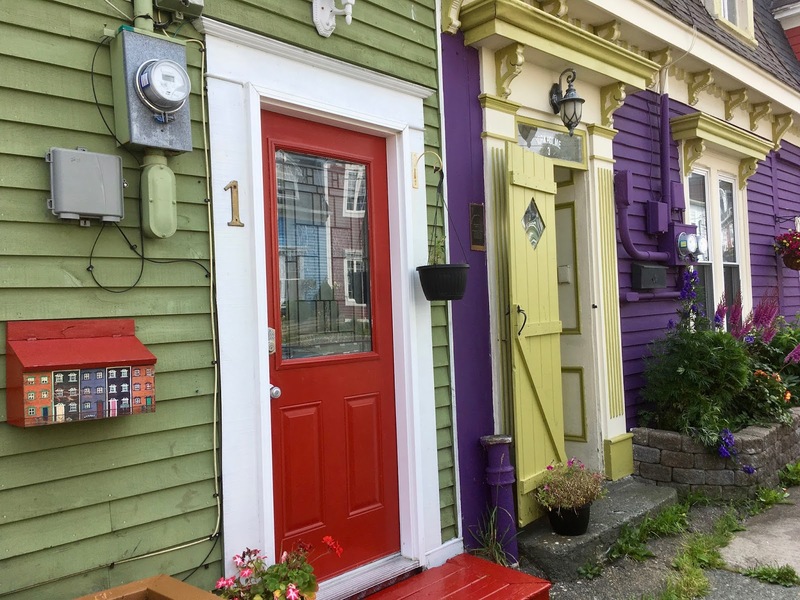 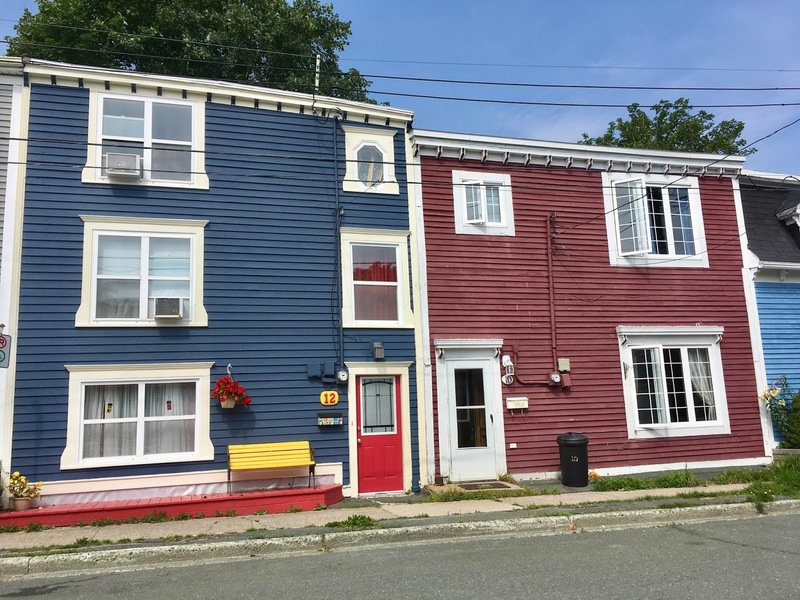 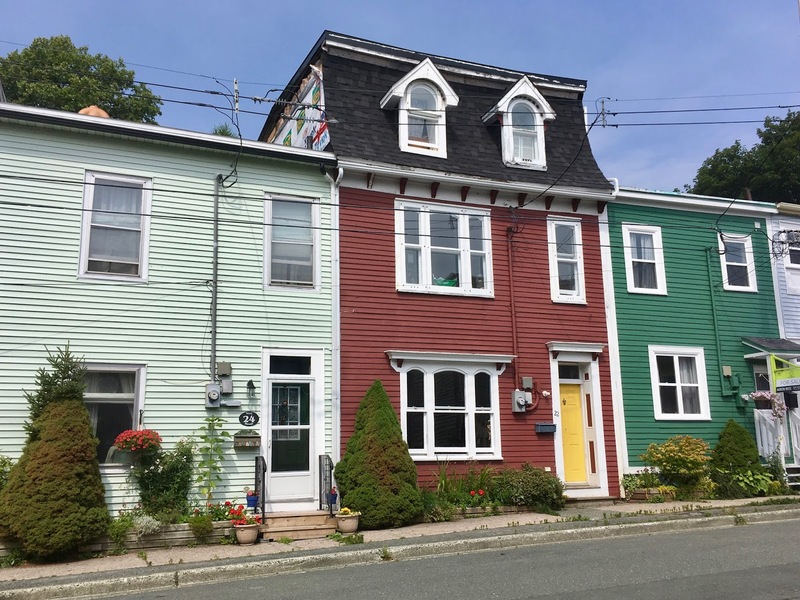 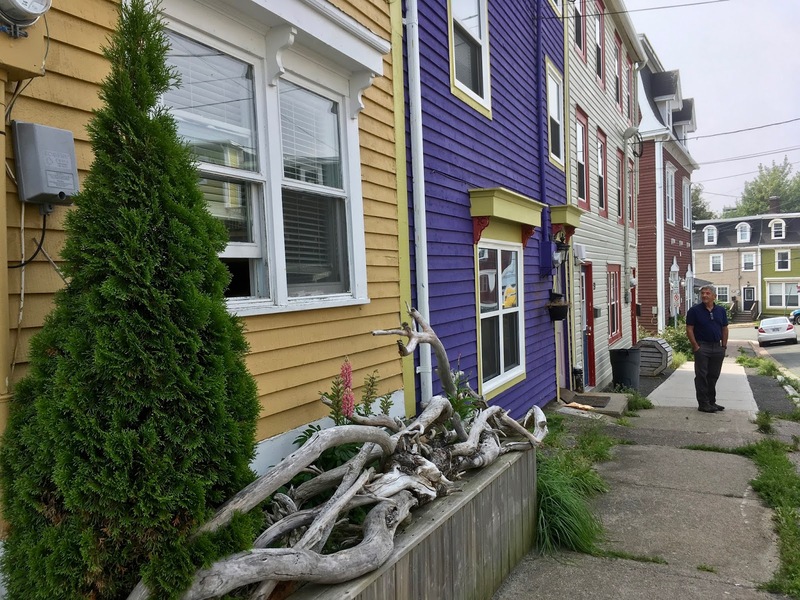 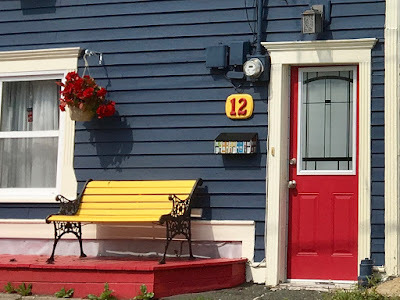 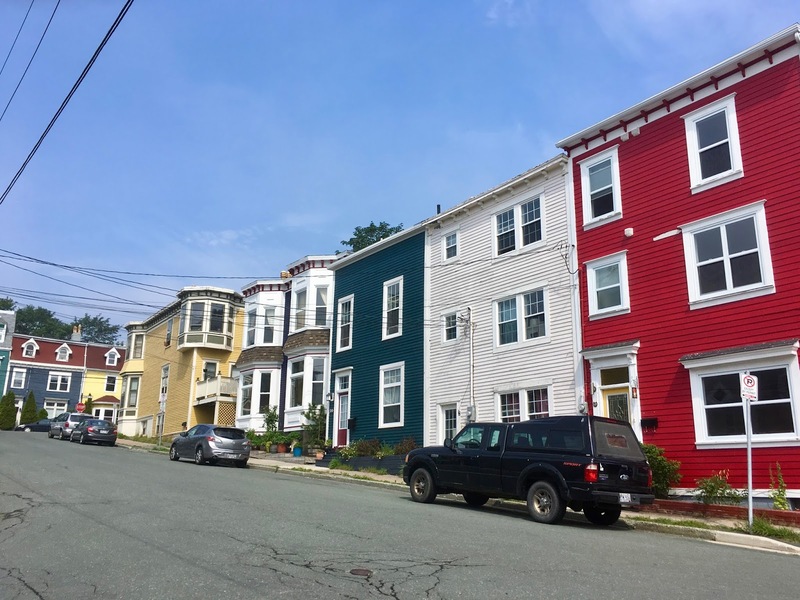 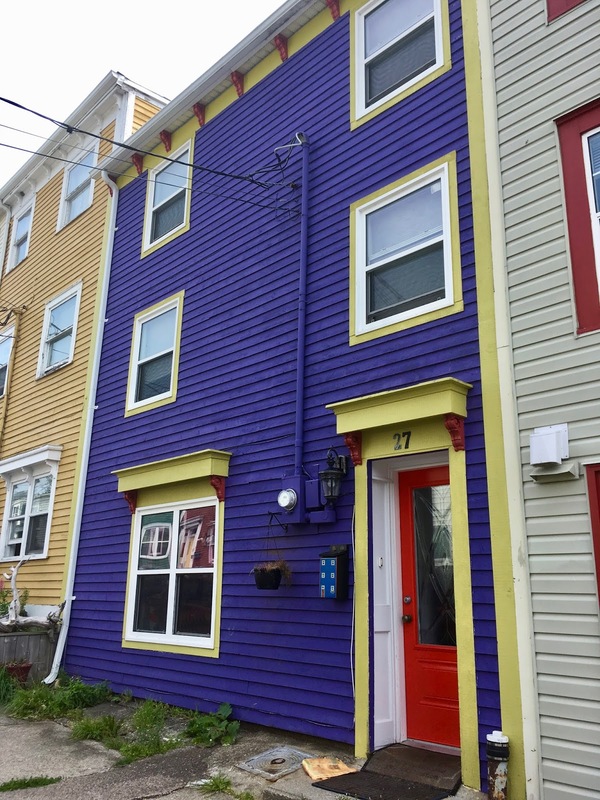 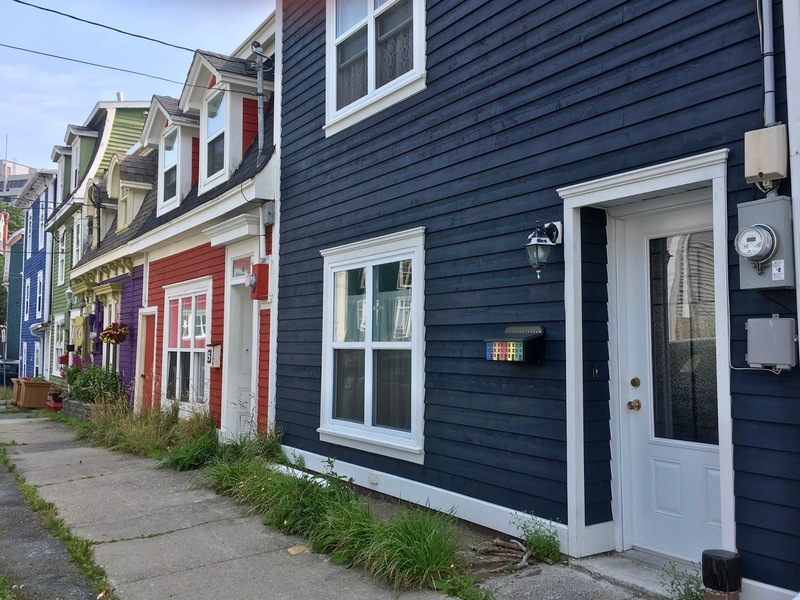 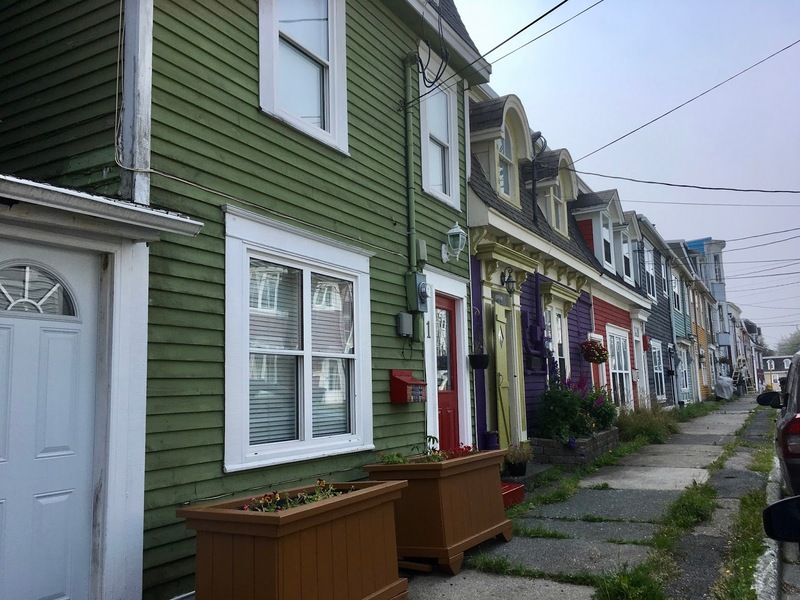 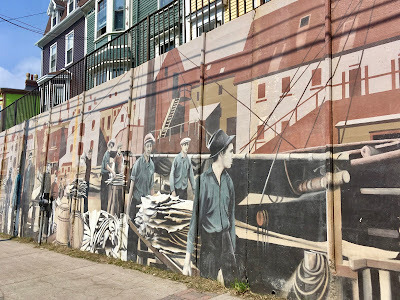 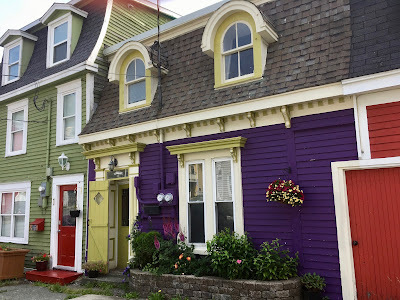 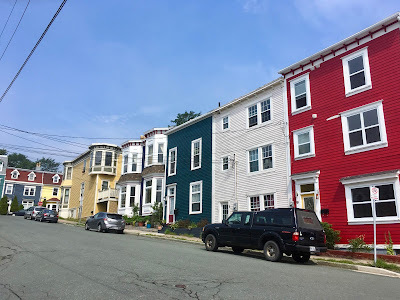 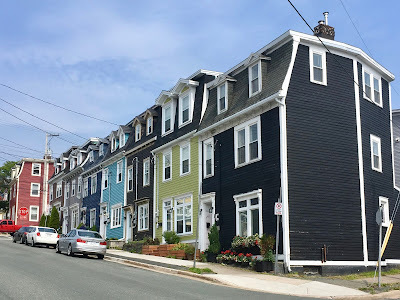 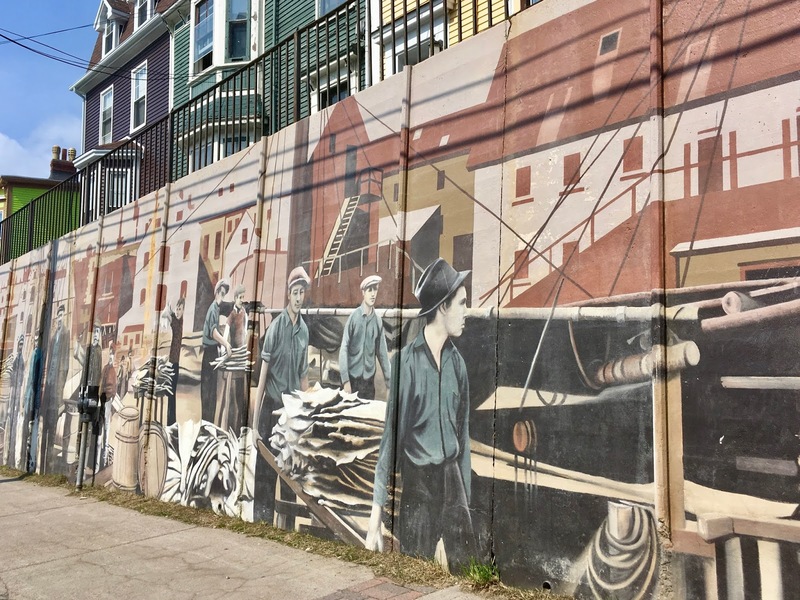 These homes were built as temporary houses after the Great Fire of 1892 (St. John's has suffered from six fires throughout its history), but today are permanent residences that add a unique flair to the city. While others are bright and loud. Mailboxes are decorated with more jellybean row houses while stained glass jellybean homes hang in windows. 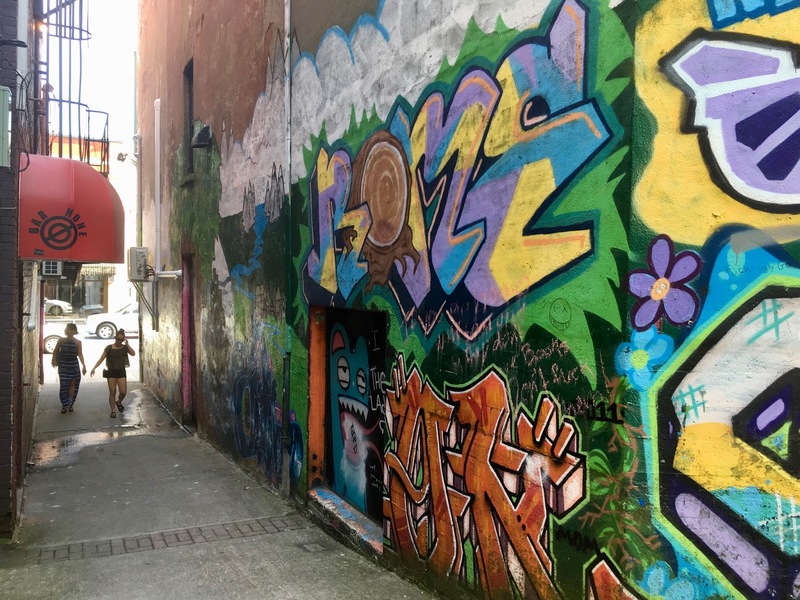 Meanwhile shops and restaurants continue the theme of colourful exteriors and artists add their own creations in murals and graffiti. These next pics are found on Duckworth Street. We almost missed this colourful lane as it's tucked away between two buildings on Water Street. 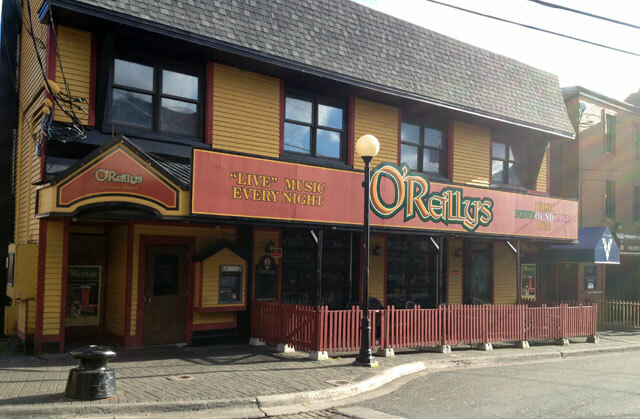 Like many people we did the obligatory stroll along George Street and enjoyed a Guinness at O'Reilly's. 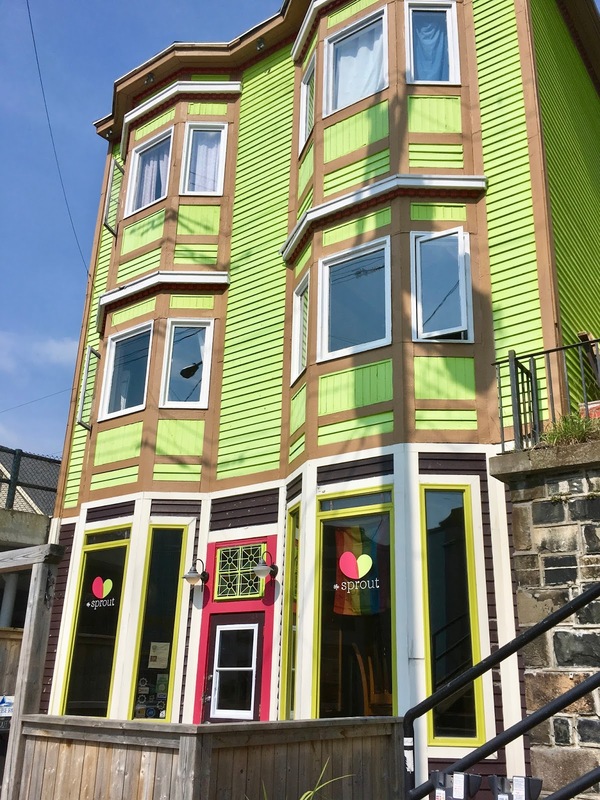 While visiting Signal Hill and strolling George Street are on every must-do-and-see list when touring St. John's, The Rooms should be at the very top. 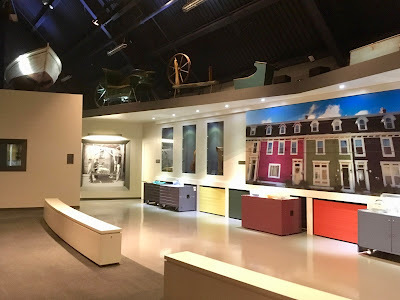 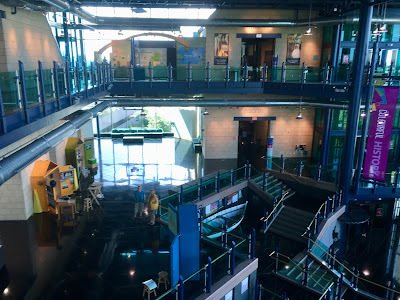 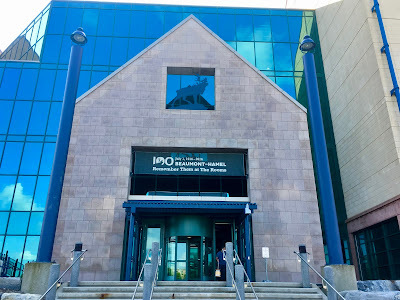 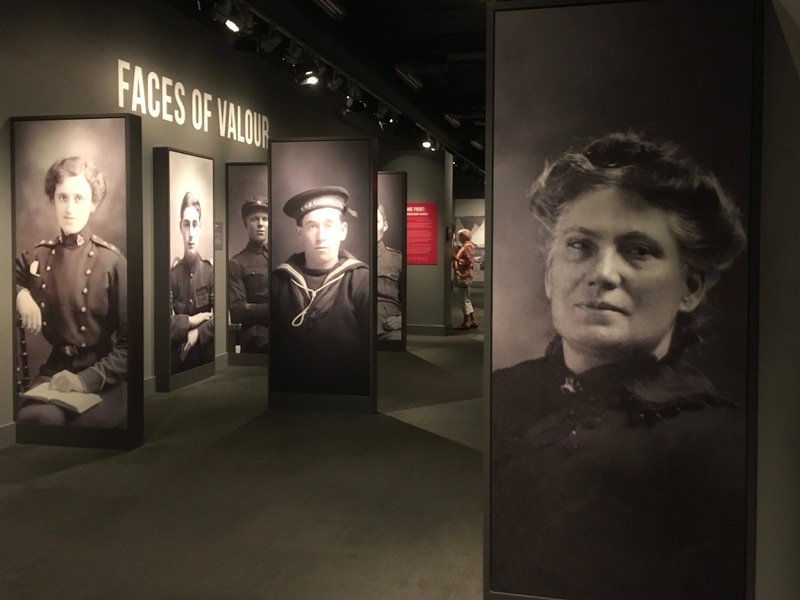 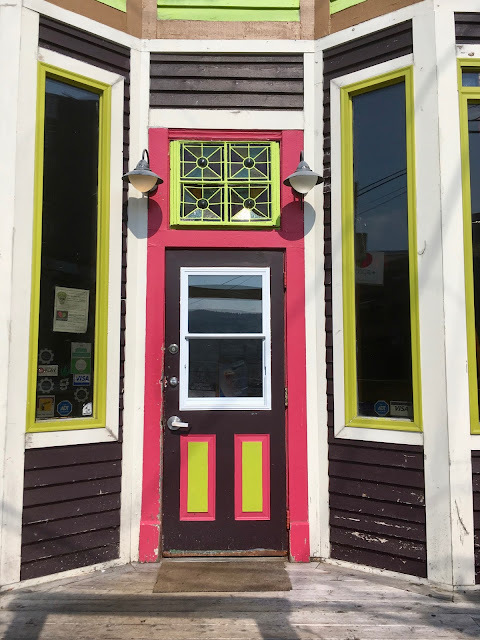 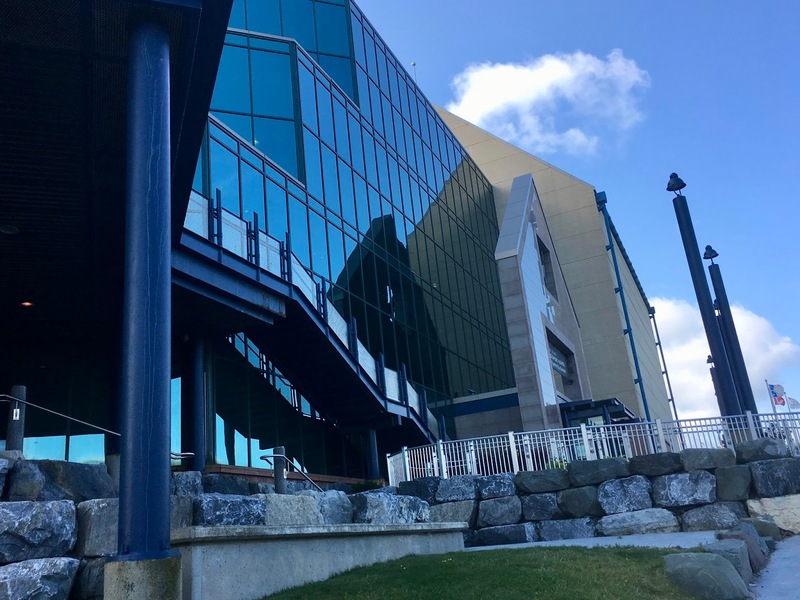 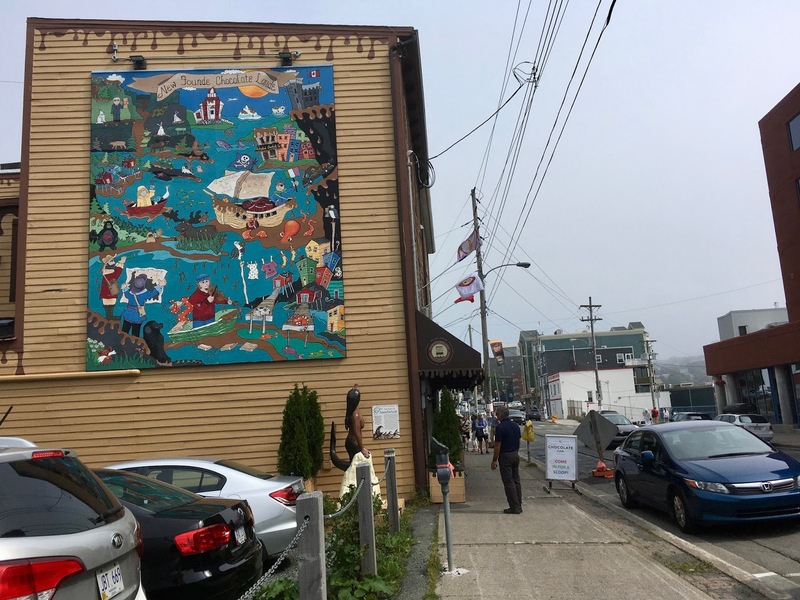 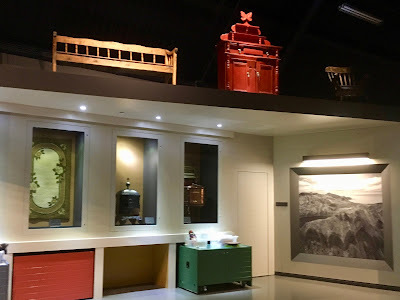 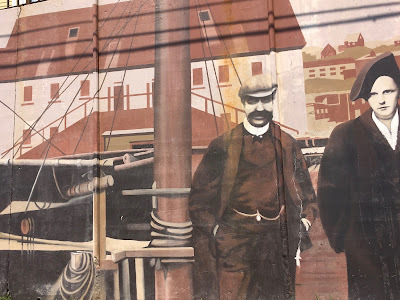 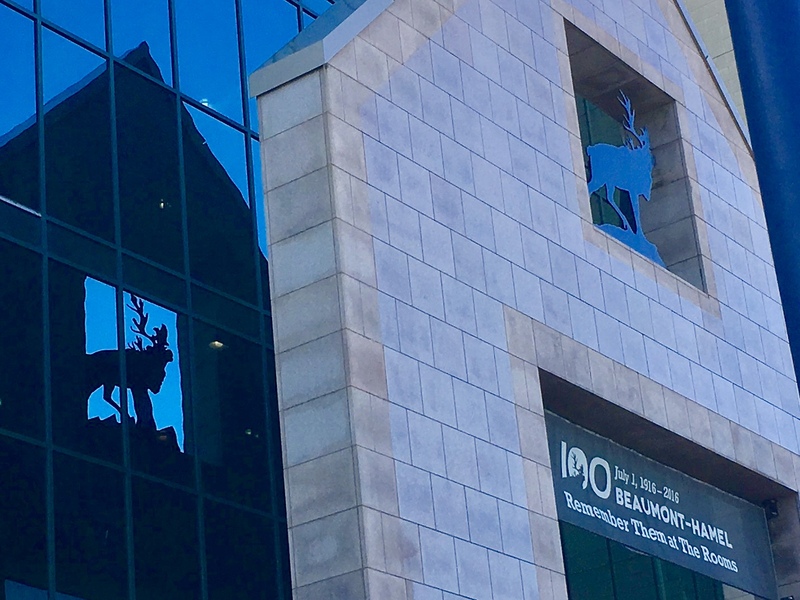 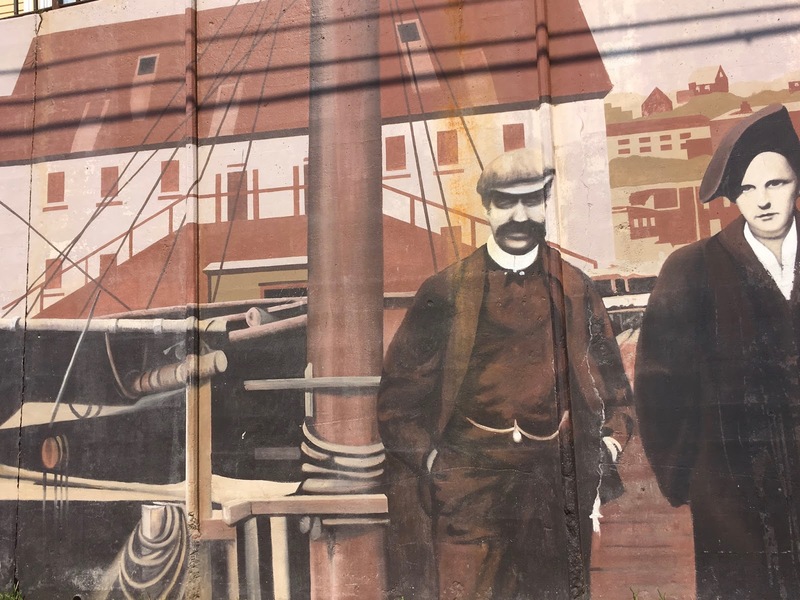 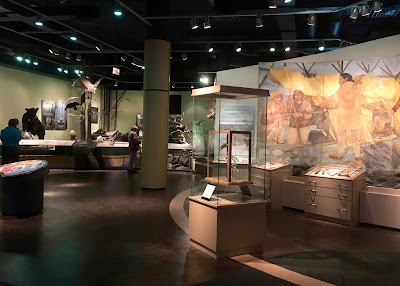 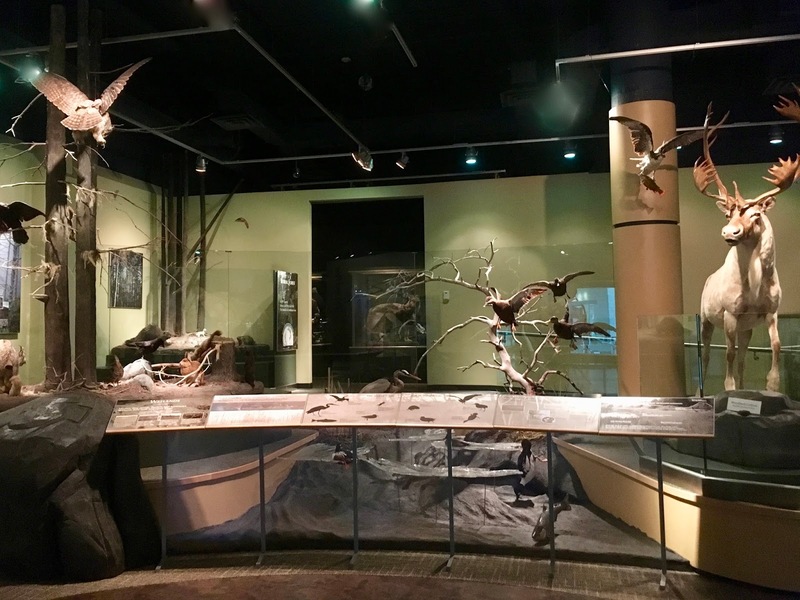 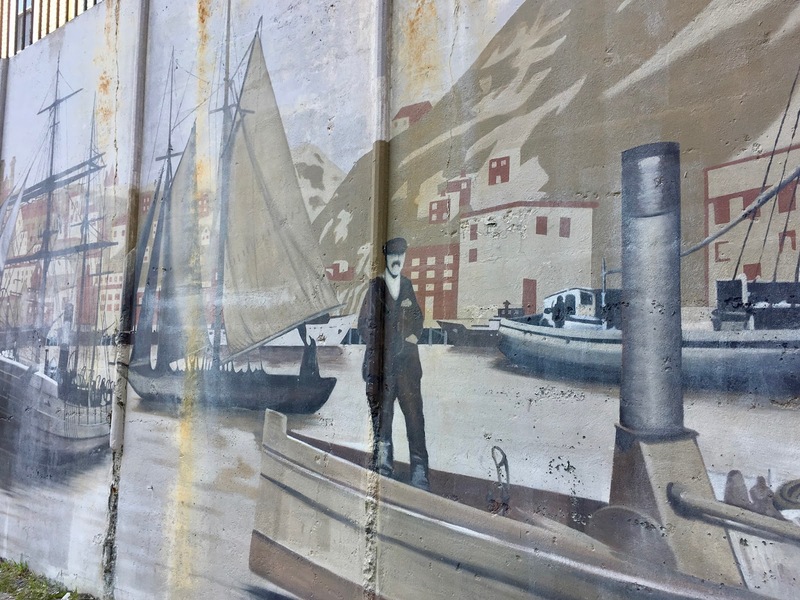 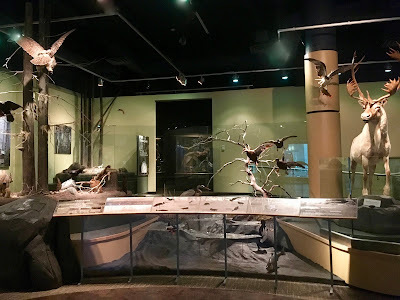 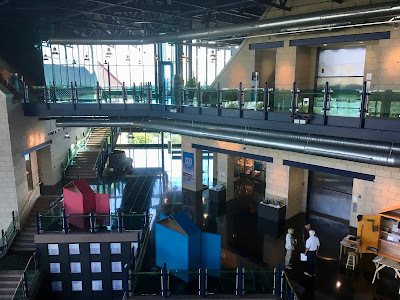 This museum is a glorious combination of all things Newfoundland and offers a wealth of information via all five senses for locals and visitors alike. The museums and art galleries are scattered throughout four levels with an open concept centre. There is also a cafe where we met fellow Elliot Lakers Sheila and George for lunch. 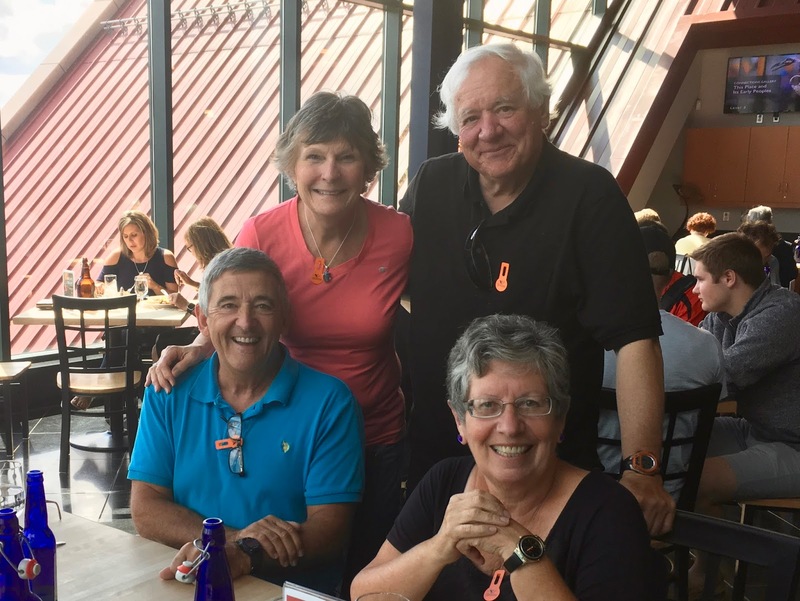 It was great spending an hour or so with them and we had lots of laughs! Right next to the cafe is an outdoor deck that offers a spectacular view of St. John's. 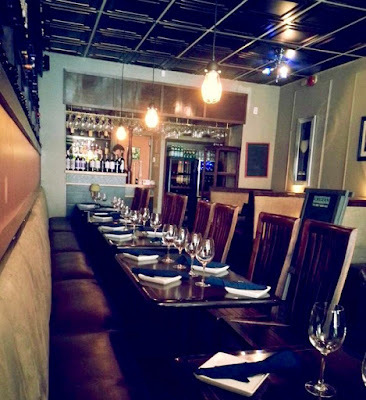 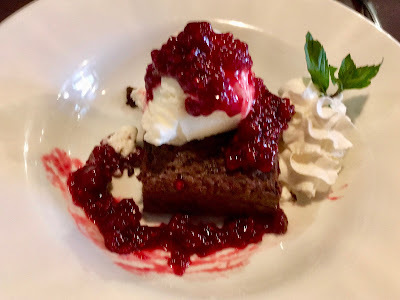 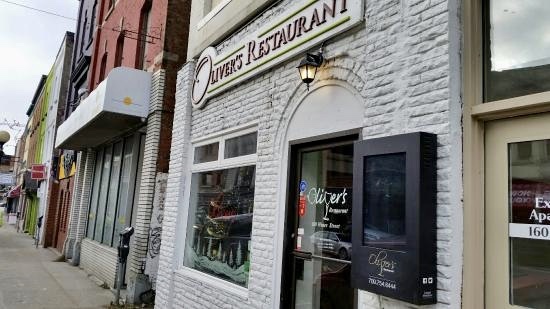 Our most memorable meal while we were in St. John's, however, took place at Oliver's Restaurant. We were incredibly fortunate to have the owner, Cal Vincent, as our server and when he suggested the cod with bakeapple sauce we did not hesitate. 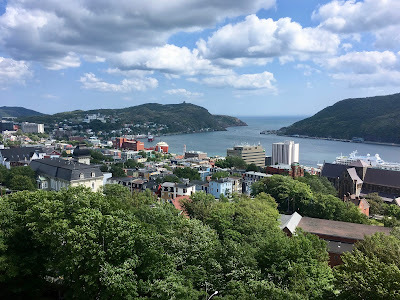 He explained "bakeapple" is the Newfoundland word for cloudberry that is found in alpine, arctic tundra and boreal forests. 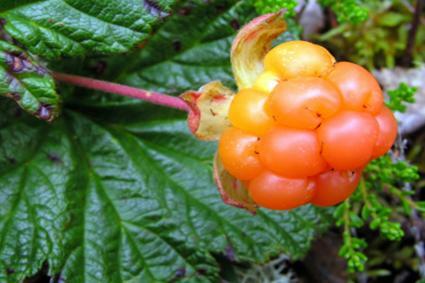 The seeds are twice the size of a raspberry seed and very hard, but that did not deter as this berry has such a lovely taste. 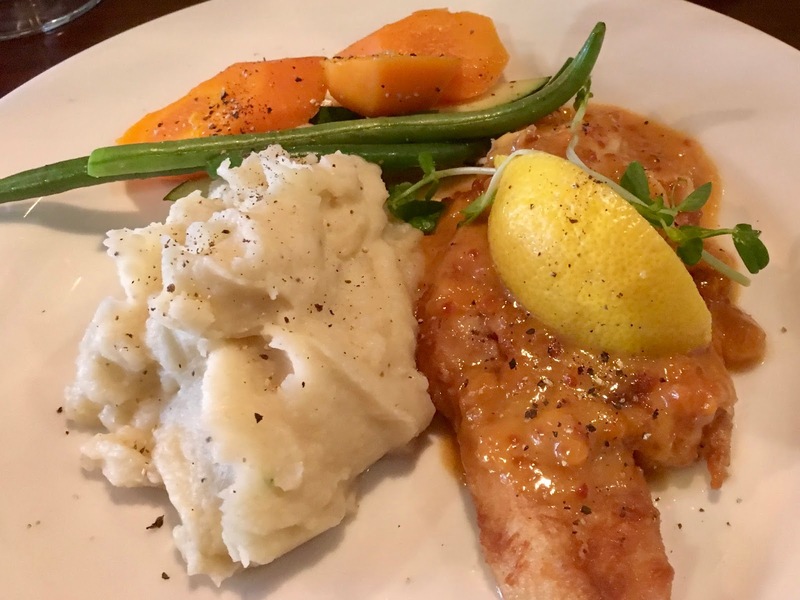 Add fresh cod, garlic mashed potatoes, green beans and carrots to the mix and oh, what a meal! 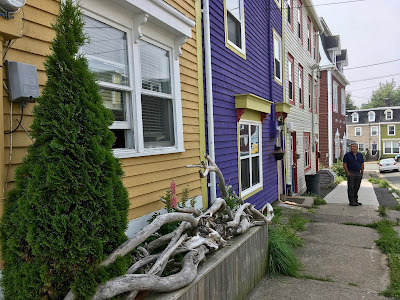 We've so many wonderful memories of St. John's and have barely scratched the surface of this amazing place. Is it any wonder everyone in Newfoundland refers to it as the "town"? !